If asked what they did for their country during the Great War, many a tabloid hack of the time could have replied, perhaps with some pride, that they lied. Then, as now, propaganda was an important tool in a time of conflict. But some nations used it better than others. To start with, Britain, France and Germany all attempted to persuade their people that God was on their side. Not only this, but that the enemy were barbarians and should be killed a little more enthusiastically. At the same time, they kept bad news from the home front as long as possible. Reports from “our own correspondent at the front” were littered with euphemisms designed to obscure the horrors of trench warfare. Retreat became “a rectification of the line”, death was referred to as “wastage”, heavy cannon-fire was “a baptism of fire.” When German atrocities in Belgium gave British and French newspapers the raw material to exaggerate and embellish a continual stream of atrocity stories, the German press fought back in kind. But efforts to bury bad news often failed. 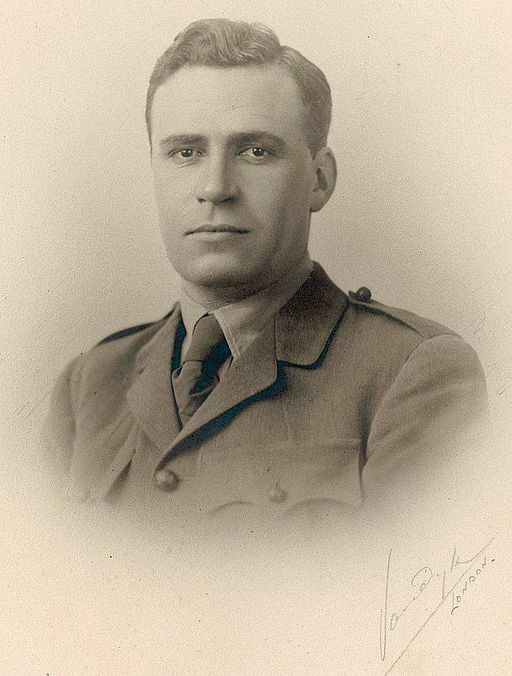 For example, the British military made a major effort to keep the disaster of Gallipoli in 1915 off the front pages, and they would have succeeded, but for the tenacity and ingenuity of a young Australian reporter named Keith Murdoch (father of modern newspaper magnate, Rupert Murdoch). Military censors had blocked correspondents’ reports from that particular front, but the Daily Telegraph’s reporter passed his notes to Murdoch hoping to get them back to Britain. Murdoch did manage to get as far as Marseille with them, but was then betrayed by a rival reporter. He was arressted and forced to hand over all his material. He completed his journey, however, and on arrival in London, informed Lloyd George, the then Minister of Munitions. Lloyd George saw a political opportunity and passed Murdoch’s letter to Prime Minister Asquith. It was used in the parliamentary debate on the Dardanelles fiasco which resulted in Sir Ian Hamilton, Commander of the British Expeditionary Force to Turkey, being dismissed from his post. Which was one of the things Lloyd George had wanted. German propaganda was far less effective than the British variety, far too dour and heavy-handed, with too many Rhine-maidens and pious looking Baltic knights clothed in heavy grey armour. It was a stark contrast of imagery to that of British war-time poster art, of nurses in crisp uniforms and starched blouses painted in pastoral colours. Nor could Hindenburg compete with the dramatic statues and stylised postcards that encouraged the soldiers of France. A further reason for the failure of German propaganda to connect with the people was that the civilian press was distrusted by both the Kaiser and the military, who kept them at arms length. In Britain, the government saw the sense of cooperation; fundamentally, they believed in a free press. Above all, they rewarded the proprietors of major newspapers with high office and honours. Lord Beaverbrook was one such example.